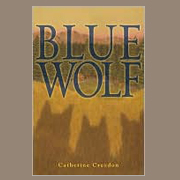 Grade 5-8-Jamie, a 14-year-old rock hound and cross-country runner, remains clueless for three-fourths of this generally pleasing book, despite the presence of many clues that he is part of an extended family of shape-changers that transform to and from wolves in response to tunes played on ancient stone flutes. Bothered by the apparent ease with which his widowed Korean-American professor father agrees to have him stay with his mysterious “Aunt Louise” for the summer at her primitive mountainside cabin somewhere north of Seattle, the teen nevertheless learns to enjoy many aspects of her back-to-basics lifestyle. She’s an odd one, answering few questions until Jamie forces the issue to find out more about his Uncle Ji-Min and Cicely, Louise’s goddaughter who, though the same age as Jamie, has spent more time with the pack than with people. There are minor errors of fact about log splitting, bees, breaking car windows, and cross-country, but the details of Louise’s rural homestead and Jamie’s gradual realization of his part in the strained relationships among the adults are well integrated and interestingly portrayed. The climactic confrontation between Jamie’s father and uncle, whose views of the boy’s future differ significantly, provides a satisfying and somewhat open-ended resolution. Recommend this to readers who appreciate T. A. Barron’s The Ancient One (Philomel, 1992) and the mix of human interest and ecological elements in the works of Jean Craighead George and Madeleine L’Engle.